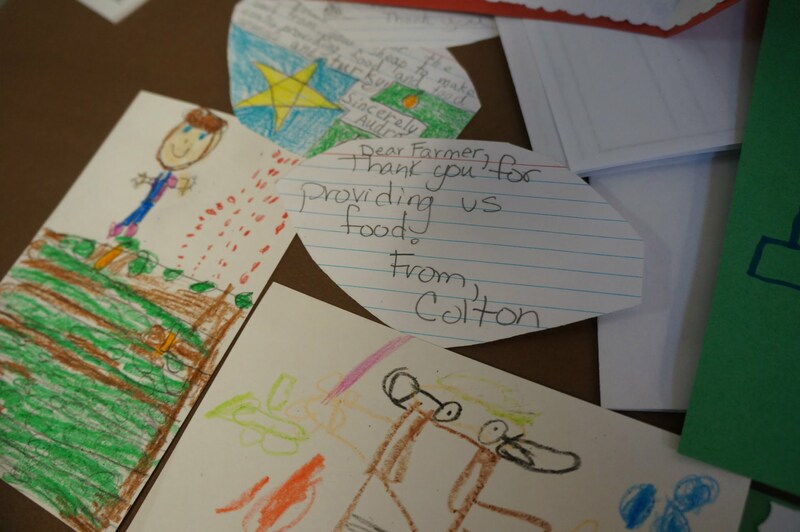 Nine Mills River farms set up tables outside of the school cafeteria, and students delivered handwritten thank you notes to them on their way to a special Thanksgiving meal at lunch. The day kicked off with a video introducing kids to local agriculture made by the school technology specialist with help from teachers. Students spent class time writing their thank you notes (inspired by this Growing Minds lesson!) and learning how their favorite fruits and veggies grow. For more details about the event – including some great kid quotes – check out the article below from the Hendersonville Times-News or this blog post on the Henderson County Schools website.